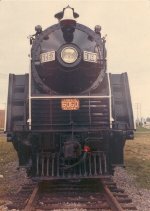 Album Info: CNR 4-8-2 6060 Mountain type steam locomotive, who was on a static display in Jasper, Alberta, was selected in the early 1970's to replace CNR 4-8-4 6218 Northern type for fan trip excursions. 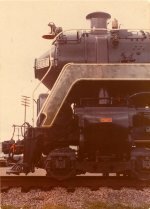 6060 restoration took place in Montreal in 1972 and 1973 under the supervision of Mr. J. Norman Lowe, historical projects officer, Canadian National Railways. 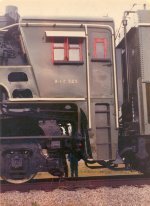 The project also included the restoration of business car "Pacific" in CNR pre-1954 Pullman green color. 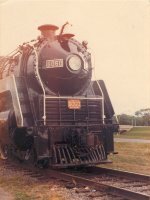 The restoration results were presented to public on September 8th, 1973 and can be seen in this picture album.